I’ve never been as simultaneously captivated and out of my league as I was when I played Robot Odyssey as a child in the 1980s. 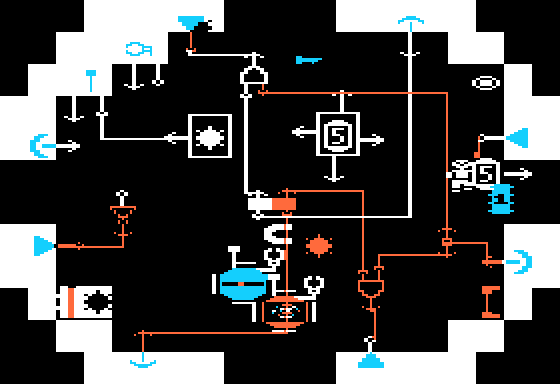 Robot Odyssey, created in 1984 by educational game company The Learning Company, had a unique sort of difficulty to it. 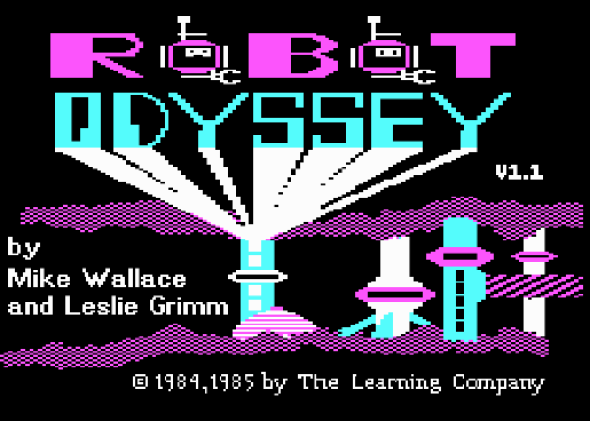 Other games by The Learning Company of the same era, like Gertrude’s Puzzles or Rocky’s Boots, were filled with logic puzzles that were difficult but generously so; Robot Odyssey basically asked you to learn engineering in order to succeed. The premise of the game is that you’re in a dream and you’ve been transported to Robotropolis. In the sewers of the city you find three robots, and those robots must be programmed to solve puzzles so that you can escape Robotropolis. You start out with pretty basic programming, but the levels get more and more difficult and require more and more advanced programs to solve. I’m not ashamed to admit that I was pretty quickly outclassed by this game, but that didn’t stop me from playing. I was a kid, I loved robots and video games, it was the ’80s, and they let me use the computer at school. Everything about this game, from the Adventure-like design to the maddening complexity to the really beautiful artwork/character model/item design, tells me that this was a labor of love. The intense difficulty would usually be a fault of the game design, but in this case it’s our fault for not being as smart as we should be. This game expected better of us, and we failed to deliver. Pizza Hut got fancy in 1985 with their take on the Italian pie, the Priazzo. Didn’t work out so well for them, but here’s their campaign in which they tried to position themselves as an Italian restaurant. 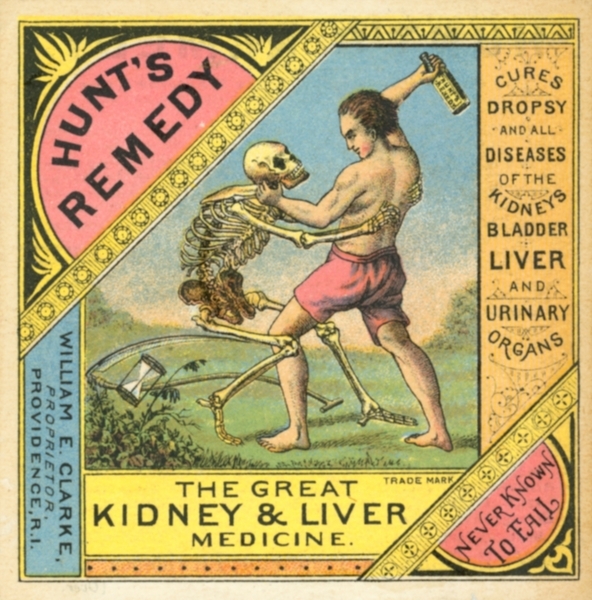 This 19th century kidney/liver tonic ad is amazing. I pity that skeleton! This mellow 1970s commercial for the Romper Room Inchworm toy goes to show you just how sedated people were back then. Slightly more upbeat here, with the novel idea that you could get a hamburger exactly the way you want it at Burger King. The “Have It Your Way” campaign came to define Burger King in the 1970s and 1980s, and was actually a pretty effective way for them to identify as a cut above the other burger franchises of the time. Still, though, they’re a little too excited about giving you a burger your way.